It's always a good day when I get to spend time with Dan, a colleague and friend I fondly refer to as Farmer Dan, owner of Pdx.Farm. Dan has a quiet, soothing way about him. He is always generous with his vast knowledge of growing edible things. 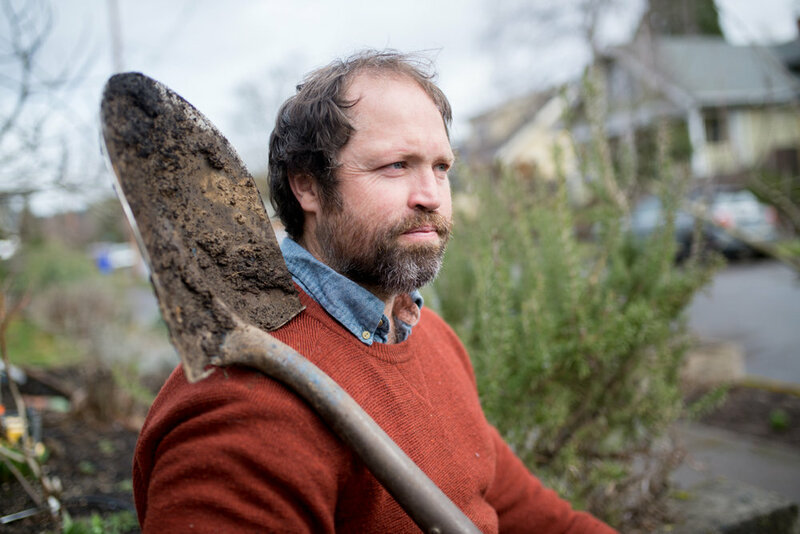 He is an urban farmer here in Portland, he is also an activist, changing our communities by helping all of us grow food all over our yards. Front yard, backyard, side yard. Everything and anything is fair game, all for the beautiful, gorgeous bounty that we can harvest all year round (almost). He is also an educator, helping us learn how to grow food, when to plant our garlic, our broccoli, lettuce, tomatoes, strawberries... Aaron and I have hired him many times to help us with our giant vegetable garden. Let me know if I can help you get connected with Dan.